Femi Kuti, first son of the late Afro beat King, Fela Anikulapo-Kuti, has come of age as a respected musician/songwriter and composer, many years after he cut his musical teeth playing on stage with his father as a young boy. What memories do you recall of your early beginnings? What part are you talking about? I have a lot of memories about my father so that has definitely shaped my career and what I am doing now. Who will you say influenced you most your mum or your dad? It is hard to say. I am very much like my mother, I like my privacy. But then my father was always in the limelight, and his music, his political views. But I will say 50-50, I will not say one has more influence over me. People don’t know my mother but I have a lot of my mother in me. Was your mum a quiet woman and how much of her did you see? I saw her probably every day, I lived with her for a very long time. I grew up with her, and so I do have a lot of my mother in me. Was your mother a music-loving person too, did she play any instrument, what kind of person was she? She studied a bit of piano but nothing too serious. But in our family our father was a trombonist, a band leader in England. In our family, our mother too played a bit but nobody is as big as my father. At which point did you decide that music is what you wanted to do? I have always known, it was just a question of when and how. When I was very young, I decided to leave school and join my father’s band in 1979. Understudying your dad at that early time, did you think at that point in time that you will continue the legacy after he may have gone? It was about continuing the legacy. It was about will I be able to live up to what he was doing? He was a magnificent, big person in front of me. To play in the band for me was already a big deal for me. I knew all the compositions. My challenge then was will I be able to live up to the big heritage in front of me, was more of my worry. Then I told myself that I won’t be here forever. At that point, I knew I had to break off from the shell, get my life, feel my pain and experience my own down fall, lift myself up again, I suddenly knew that I had to live my life, not his life. So I left. What were the challenges of breaking out? Probably the biggest challenge of my life was that everybody was totally against me, everybody criticized me including journalists. Just one or two journalists was in support of me. And they were the ones who told the others to give the young man the chance to express himself. I decided to make my name more in Europe and in America before I broke into Nigeria. So I was touring with my own band from 1988 extensively outside Nigeria and I was already making a big name for myself outside Nigeria. This is because people outside Nigeria liked the fact that I wasn’t copying my father totally and I was trying to express myself and find my identity. That gave me an edge and they probably wanted to see what will become of me, so they gave me more of the chance. Here in Nigeria, you must be like your father nothing less, we don’t want to hear anything. If you are not going to be a carbon copy of your father, forget it. There was room to express myself so I decided to make my name outside there. It was until 'Wonder wonder wonder' in 1994 before people started hearing my music here. Yes, because I was touring the biggest festivals, I was playing big clubs I had already made a name outside before here. Your dad too made a name outside the country, and lot of foreigners used to come here looking for him and all that. So you going there to make a name first, how did you feel? It was part of the challenge. Nothing discourages me. I knew I would break into Nigeria someday then, but what I didn’t know was when it would take place. I knew I was not planning on stopping music, and I knew I was not planning to live abroad all my life. Those who were against me then had their point because that is part of our culture. It is very hard for us to understand when a son does not agree with his father because our culture does not permit that kind of misunderstanding between father and son. Then my father being in the limelight, I knew I was quite ready for it. But I was not going to yield to the public opinion that I must do what they want. I decided that they have to accept my music and accept what I am doing or it will be a very big battle between me and the public for a very long time. So I was content in travelling out making a name and bidding my time, writing more songs. It was not just the burden of fitting into his large shoes, but also the burden of taking over the administration and also his women. How did you overcome all that? Well, it was something that I already knew as a child, people were already telling me from childhood that I will take over. So psychologically, at the back of my mind, I had already known. So I will say that I was mentally prepared for it. It wasn’t much of a big deal. I didn’t change to please people. That is because I knew that if I fail, I will not have the people to blame for my failure and if I succeed, I will not blame people. I will have to take the praise. Therefore, I do not allow people to influence me, or decide for me, a way for me to go. I will rather fail on my own than have somebody make me succeed because of their own wish. I am not that kind of pwrson. What I am doing now is no big deal for me. I knew what I wanted to do, how I was going to do it, and what it will do for me. So till today, you will still see me practice. I didn t take his dancesteps o, but even if once in a while I dance like him, I believe it is okay. I mean if I don’t look, talk, sing sometimes like him, then you will have to ask my mother some questions about who my real father is. So whether I like it or not, I have to do some things like him. I think every son wants to be like their father. We grow up wanting to be like your father. If something happens in your family and you branch out, and decide not to go the way of your father, it is understandable. But a child grows up admiring the father. And this is just human trait. It is a culture in Africa. A son understudies the father. There was no exception in my case. I wanted to be like my father. I wanted to play music because my father was playing music. His courage, his honesty, and sincerity. When he belived in something even if he is supporting what is wrong, just because of his pride, he will stick to it till his death. There, I am a bit like him. If he gave you his word, even if both of you are wrong, he will defend you. That is because he had agreed to defend you. And he will protect you, because of the love he has for the person. If he has given you his word, even if death comes, he will stick by you. He was very honest and sincere. Your dad had many wives. But you chose to have one. Why did you do that? I am divorced now. I won't tell you that I don’t like women. I like women but I do not believe in marriage. I got married but I do not believe in marriage. I know that in Nigeria, many people are against my views but that is their business. It does not stop what I believe. I still do not believe in marriage. People have a right to believe in what they choose to believe. I believe that if two people want to be together, they should live together. And if they do not want to do so any longer, they should just agree within them. If they want to involve their family in their relationship, that is their wahala. But they should know that the more people they put in their relationship, the more problems they will have. I love a very peaceful, quiet life. When you start getting involved with family, then you won’t rest. There are some families, they won’t let you rest. I am not saying that of my ex-wife’s family, but I don’t like the idea of somebody saying to me, I pronounce you husband and wife. I don’t like it. Who is the person to pronounce me husband? Maybe it is my upbringing. Then again, when you are married, the problems that you get into when you don’t want the marriage again is so complicated. The family will come everybody will talk, they will discourage you, meanwhile both of you know that you are tired. Then again both of you will continue and become very unhappy again. If the two of you are tired and decide to go your separate ways it is easier, but it is another wahala again because you have to go to court, sign papers upon papers, everybody puts their mouth into the matter, and the wahala over it is so much. The more popular you are, the more complicated it is. So all that discourages me from that institution. Like I said, I have a little of my mother in me. I like peace and quiet. I hate to be disturbed. I do not like it when people bring their problems all over me. That is because I already have my problems too. So I mind my business and face my problems squarely. My relationships are already complicated so if I get married to all the women in my life, it will be a total mess. Most of my children are from different mothers. They all play together. We all have an understanding that I take care of the children they see their children; they go about their own business. The children are here, enjoying their lives and I try as much as I can as a father, to make them happy. My children mean the world to me. But are you looking forward to marriage again? No I don’t believe in marriage. I will never marry again. I never believed in it. When I got married, I was not sure it will work. I wanted to give it a try. I knew that being in showbiz, to have a wife that will be like my mother, is probably impossible: Someone who will tolerate women hanging around you even when you do not have anything to do with them emotionally. It is difficult for women to be tolerant and understand at such points. It doesn’t mean that a man always agrees to every woman who wants him. But a wife will not hold her jealousy and let you be. It is very hard to find such women who will hold themselves, comport themselves and not complicate your life. It is the same way with a man who marries Madonna in the US for instance or Beyonce and you think that men will not be flirting with her then you have a problem. It is not a matter of a masculine saying, it is the nature of that business. So to find a partner that understands is very difficult to find that kind of person, so why starting that kind of relationship that will even complicate your life that is already complicated because when your are in the music business, you have to keep writing songs, you are selling your talent and people must admire your talent and you are trying not to sell your lifestyle. So it is very complicated because then many people put your lifestyle ahead of your talent, and Nigerians have not fully developed into a position where they accept your talent over your lifestyle or they marry the two or they put your lifestyle ahead of your talent. 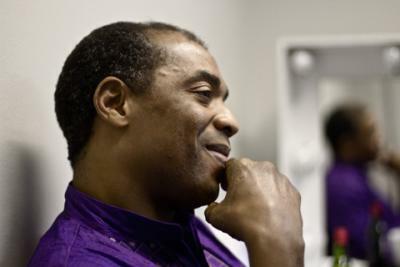 Growing up, we knew in many circles in this country, that we were not loved because we were Fela's children. So all this is part of my upbringing, all these made me come to a lot of decisions in my life that when I'm independent, this is what I am going to do, this is what I am going to ignore. 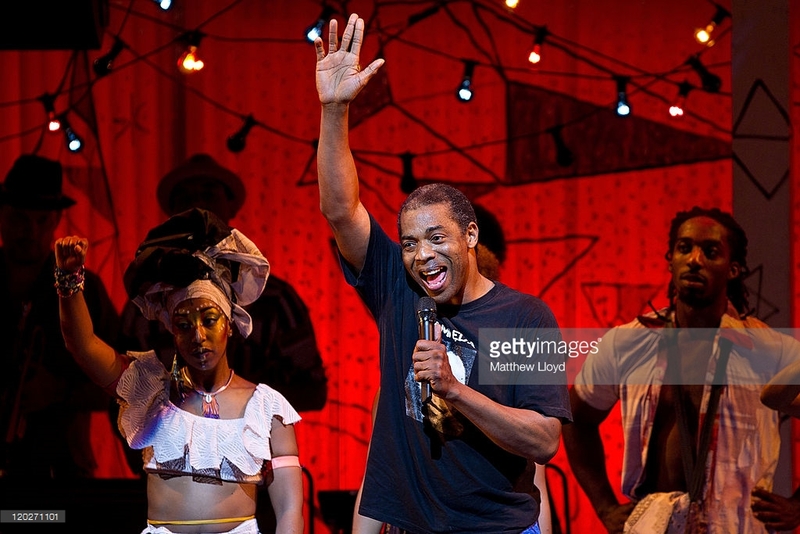 And I can still assure you there are still many homes that, if they hear Femi Kuti, they don’t like my name. Even if am popular in the street and in many areas, they will still say he is too much like his father. But if I as an artist starts to put my mind in that, I will never progress because my objective is to write as many good songs in my life. I am selling my talent, I am not selling my life.